My last photo was taken two days before delivery. I technically went into labor that evening, but I didn’t know it. More on that later when I get a chance to write out my birth story for you! There are so many posts I still want to share with you… my delivery, the story behind our babies’ names, posts on the joy of motherhood, more baby photos, etc. But believe it or not, taking care of two newborns keeps my hands pretty full, so my posts might be a little fewer and farther between for a while. But for now, here’s my bump collage! 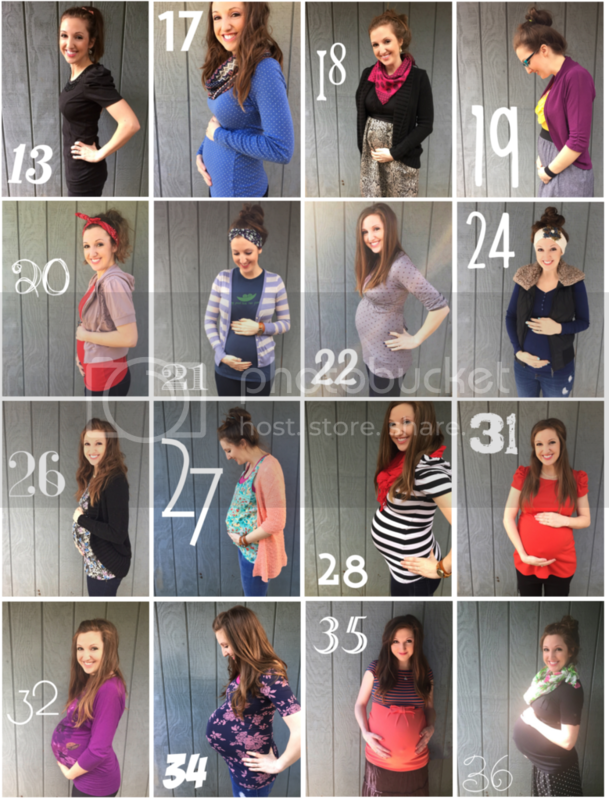 The 16 bump photos I took throughout my pregnancy followed by my 37 week picture once the babies were finally here! Here they are in their 5 day old glory! 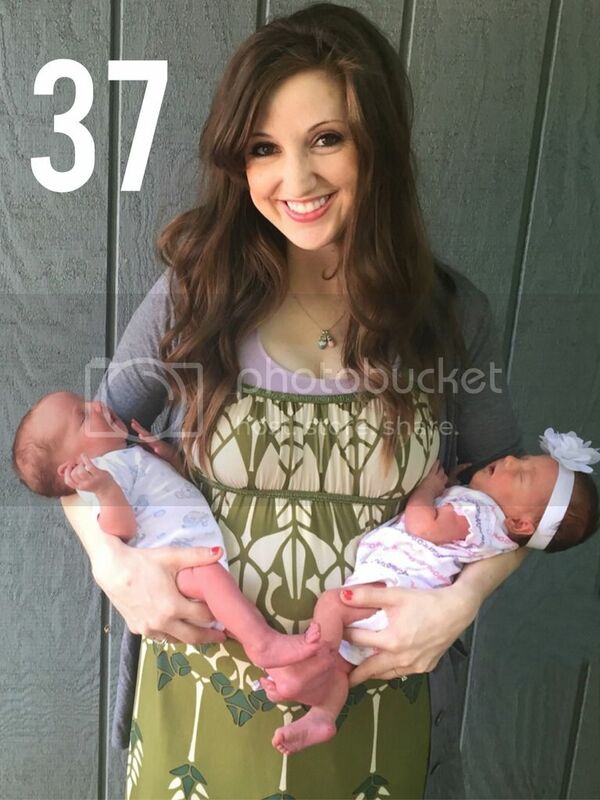 It was a joy to grow my big bump with these two littles staying healthy inside for so long, but I sure am glad they are here in my arms at last!